The Cafe is in Nairobi this week to discuss what Kenyans and their prime minister have to say about unity and identity after an election in 2007 that sparked violence along ethnic lines. Ikal Angelei, the founder of Friends of Lake Turkana in Kenya, received the prestigious Goldman Environmental Prize in San Francisco on Monday. The award honors an activist who is defending the interests of 500,000 poor indigenous people against a destructive hydropower dam, and has successfully taken on many of the world’s biggest dam builders and financiers. 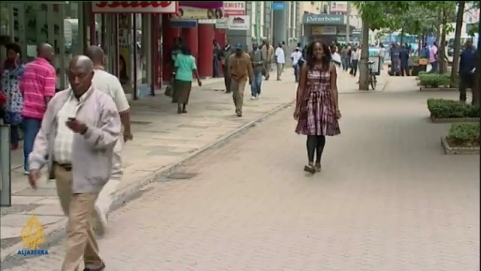 A look at the stigma that surrounds Kenyan homosexuals. It is a story of increasing homophobia in the country and the human stories behind it.